Stuart McLean steps outside his alter-ego of Dave of the Vinyl Cafe stories and here writes as himself, an author searching for genuine small towns in Canada. These towns had to have bus-stops, no cash machines, perhaps a ten-pin bowling alley with an actual human pin-setter. They had to be small, run by the people who live there, dominated by whatever resource or source of income the place naturally has, and perhaps have an ice-hockey rink. He was looking for the heart of Canada. In writing about these places, McLean has produced something of a potted history of the nation. It is really, really charming. It is engrossing, every single page of its whopping 633-page bulk. McLean writes in his usual spare, yet eloquent style, with carefully chosen words. He is a master of the final one-liner and he does drop them frequently here with excellent effect. While I often smiled, I also found myself longing for photos of these places, and Googled them afterwards. The book was published 22 years ago, and contains an update for the 2002 edition by McLean. Of these, Foxwarrren and Nakusp are the most northernly and coldest places. The others are all in the high 40s latitudes – also cold, but not subarctic. Yet, all these places are shaped by the people living there, and they in turn, are shaped by the town and its location. People go away and return eventually to raise children in their home towns, or grow old and die there. They complain about the terrible weather, the boiling summers, the bitter winters, the violent iceberg-choked sea, yet do not move away. I found it amazing to read how resourceful people are – what they come up with to make a living and help others make a living too, and where the products of little those towns go to – the water, power, lumber, sports, and even the maple syrup, that mostly get exported to the USA and elsewhere. McLean’s own voice comes through most clearly when he writes about Foxwarren, Manitoba, where the townspeople built their own ice hockey rink. McLean is looking to find the amateur hockey he knew as a kid. 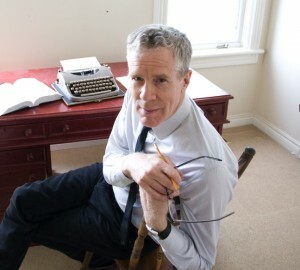 Despite the occasional disenchantment and sadness, McLean never resorts to sounding preachy or overly sentimental, and included some funny moments, like when he was trying to prevent people getting the wrong idea when a woman cut his hair in his hotel room; and when he told a woman on a train, reading one of his books, that he is the author – to her delight. Earlier this year, American director John Waters published his account of him hitchhiking across America, called Carsick. Apparently, some pretty weird people picked him up. When you get up close and personal with people, who knows what might happen. But if you don’t, you’ll never get to know what is really out there. In McLean’s case, only good things happened to him – perhaps because he is, by all accounts, a genuinely personable man – but his narrative also made these little Canadian towns look good.